I take back everything bad I ever said about Bruce Campbell as he does keep his word - he just takes a long time to fulfill it. 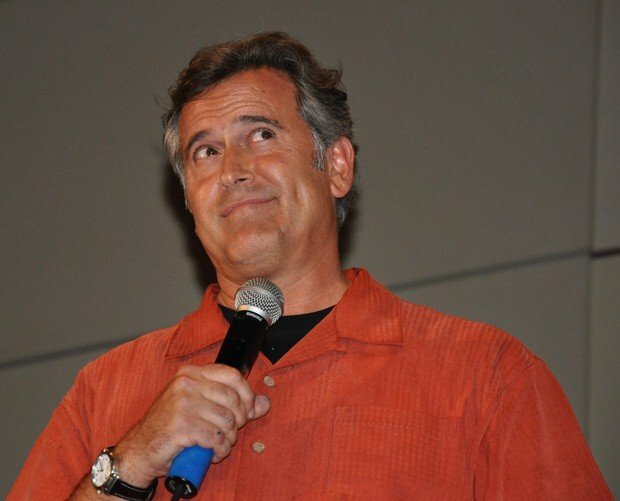 Finally after a long wait, I have my interview with Bruce Campbell and here's you will find it over at The Girl Gamer.net. We talk Evil Dead 4, Twitter, World of Warcraft: the Movie and more. As a writer and fan of Bruce Campbell, this is probably the ultimate story for me - I couldn't be any happier today, so if I die in a car crash on the way to my mom's house this day - note that I died happy.